I take my blood pressure a few times a day. When I first get up in the morning, it’s a little below normal, but it becomes high after I drink a few cups of coffee. My husband does the same thing, but his blood pressure hardly changes. What’s going on? 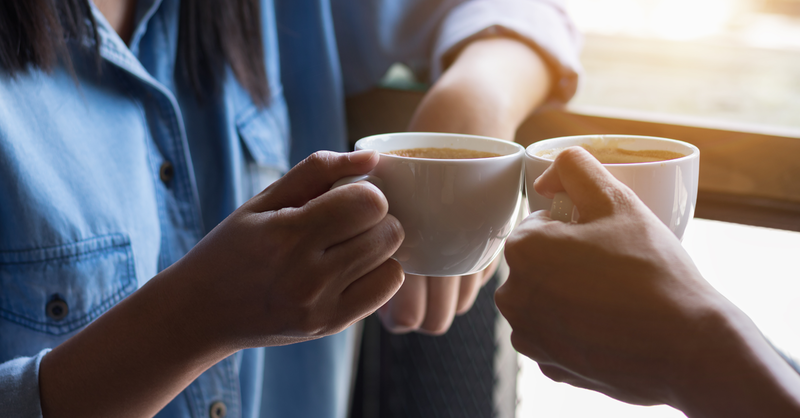 A cup of brewed coffee contains about 100 mg of caffeine, a stimulant that helps us feel more alert in the morning, but it also increases heartbeat and temporarily raises blood pressure. Once the caffeine passes out of your system, which usually takes about five hours or so, your blood pressure should go down. Rapid metabolizers, about 45% of the population, can consume up to 400 mg of caffeine (about four cups of brewed coffee) daily with little effect on blood pressure—even in the short term. Slow metabolizers, about 55% of the population, have very low CYP1A2 activity. Their blood pressure will stay elevated for up to four to five hours. These people also may have tachycardia (fast heart rate) and increased adrenaline levels, which can cause the jitters and wakefulness. Caffeine sensitivity also tends to increase with age, since the CYP1A2 enzyme works less efficiently as we grow older. Women tend to be more sensitive to the effects of caffeine than men, since estrogen slows CYP1A2 activity. It sounds like you could be genetically programmed to metabolize caffeine slowly, but the only way to know for sure is to have the genetic test CardiaX, which is available from Vibrant America Labs. My advice: You should talk to your doctor about the effects of caffeine on your blood pressure, and ask whether it makes sense to cut down on your coffee (and tea—most nonherbal varieties, including green tea and white tea, also contain caffeine!) or switch to decaf. In addition to recommending that you keep your body weight at normal levels and get regular exercise, he/she may advise you to eat more blood pressure–lowering foods, using the Dietary Approaches to Stop Hypertension (DASH) diet. If these steps don’t control your blood pressure adequately, you may also need medication.